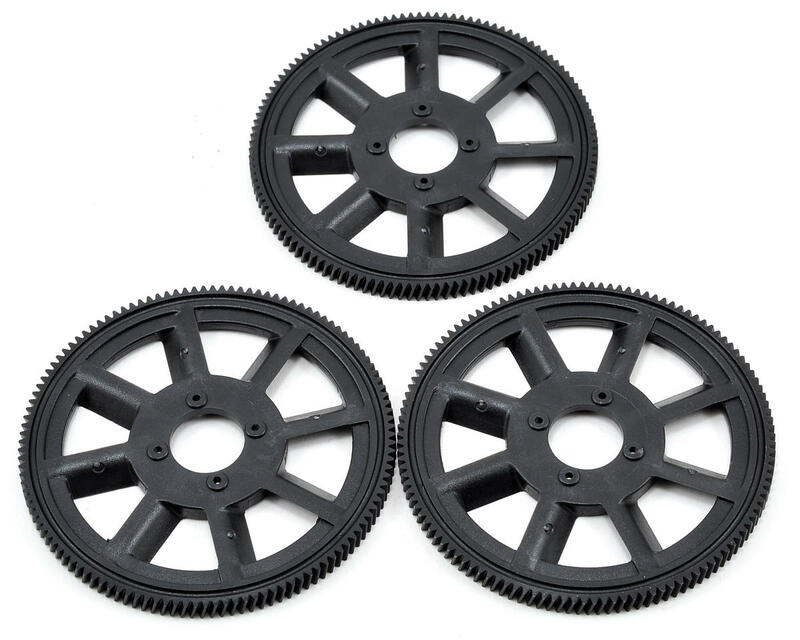 This is a pack of three optional Align 121 Tooth Slant Thread Main Drive Gears, and are intended for use with the Align T-REX 450 series of helicopters equipped with the optional Align 12 Tooth Helical Motor Pinion Gear (AGNH45157). This updated high strength 121 tooth main gear features Mod 0.6 gears perfect for 450 helicopters. The increased gear pitch can withstand higher powers while at the same time minimizing operational noise. This gear is a great upgrade to withstand modern high power systems. As usually, I don't like Align prices. For example Tarot gears would be 1/2 price or less if bought in right place, but the quality here is convincing. gear is very straight if you need it desperately. I know that a slight throw on main gear is no issue as long as it stays in ~1mm range, probably you get a vibration, but functionality is still there. So here you should expect perfect shape. Also I have a feeling that these gears are more rigid and somewhat substantial than Tarot for example. If you agree with price, then you will not regret the purchase. 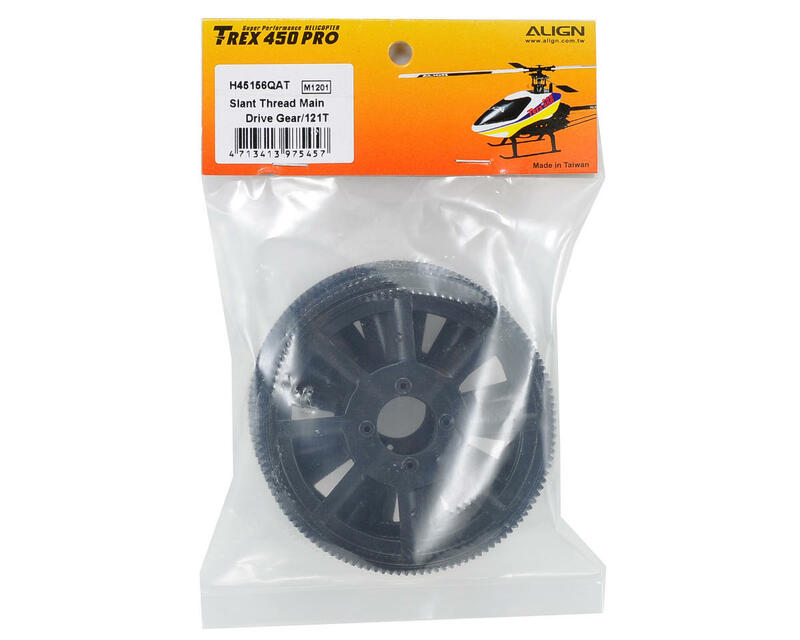 Slant gears with corresponding pinion will change the way your Heli sounds very much !!! This alone is worth to switch to this setup. Handy to have a spare set when learning to fly. Very well made.